Learn how to make butternut squash in the slow cooker and you might not ever use any other method! Easy and no peeling required! Did ya know you can make butternut squash in the slow cooker, aka the CrockPot? 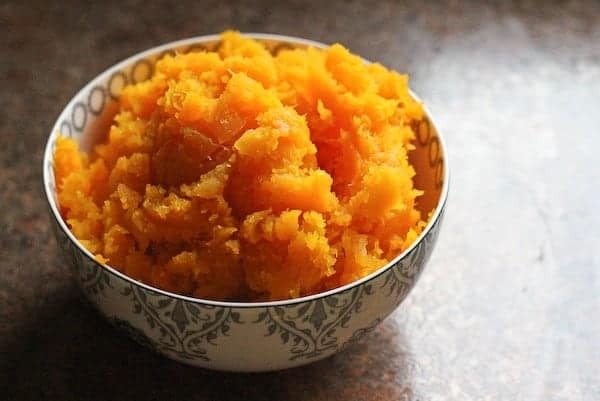 Throw a butternut squash in the slow cooker when you leave for work in the morning (it will literally take 2 minutes or less). Come home to a cooked squash. Scrape the flesh out, mix with a few simple ingredients and enjoy butternut squash bisque for dinner. Or use it as a healthy side dish. Either way, it doesn’t involve PEELING THE DANG SQUASH. Which just might be one of my least favorite kitchen tasks. It’s tedious, sticky, and a bit dangerous! 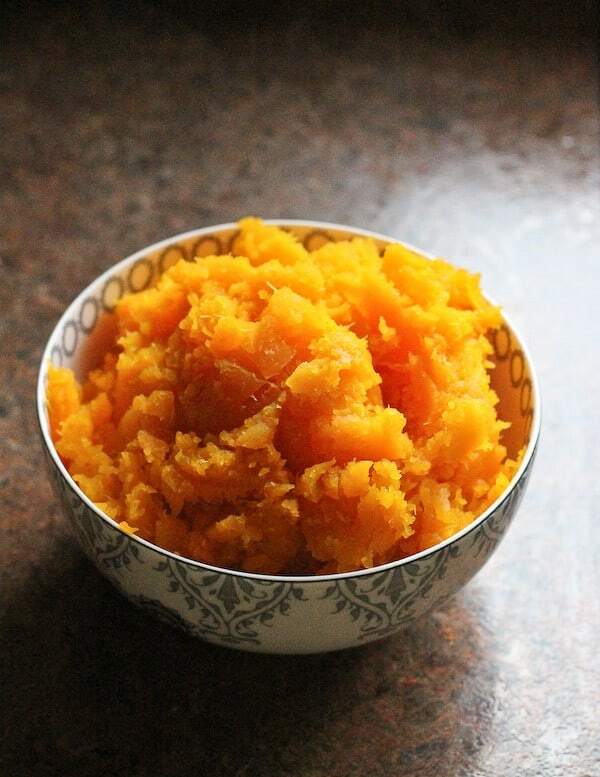 So do you want to know how to make butternut squash in the slow cooker? It’s ridiculously easy. Wash squash. This might not even be necessary if you aren’t type-A and crazy like me, but I’d recommend it. Always wash the outside of your fruits and vegetables, even if you don’t eat the peelings. Because when you cut into something dirty, the dirt goes inside. That’s my two cents. Anywayyyys, off my soapbox and onto step 2. That’s it!!!! Once it is done cooking, all you have to do is slice that baby open, remove the seeds, and scoop out the flesh. 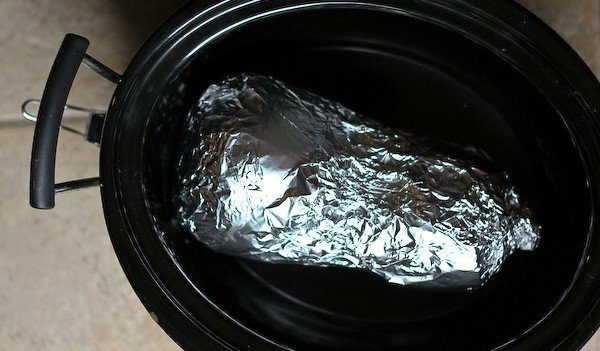 Wrap squash in aluminum foil and place in the slow cooker. Cook on high for 4 hours or low for 6 hours. Unwrap, scoop out seeds and discard. Then scoop out flesh and enjoy! 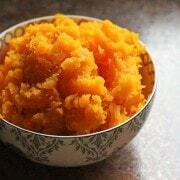 -This would be a great way to prep butternut squash for homemade baby food! 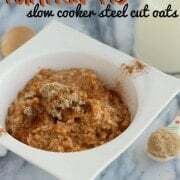 -Stir some into your kids’ mac & cheese. They’ll never know. This idea is brilllllliant! Seriously! I get my organic produce delivered to my house and last week, they dropped off a 5 pound butternut squash. It’s been sitting on my kitchen table, waiting for me to buy a battle axe to chop it with! My kitchen knives are never getting through that thing while it’s raw. You just saved me from needing stitches, Rach! I eat squash ALMOST everyday. And everyday I have to tell myself that it’s deliciousness is worth almost chopping my hands off to take the skin off. You basically just saved my limbs and my taste buds thank you. Pinned! so easy! I do baked potatoes in the slow cooker sometimes, too. I’ve had a bnut squash on my counter for a solid 2 weeks because I’ve been dreading cutting it (why is that so hard?!) so I’m totally doing this. Awesome idea! Do you know if it would work with spaghetti or acorn squashes? 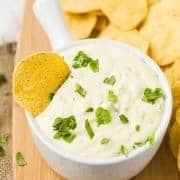 How did you figure the cooking time? I have a new found love for butternut squash and I never would’ve thought to do it in the slow cooker! Genius! I really need to get a slow cooker!! Do you think it would work with a pie pumpkin? I’m going to try it. I love how easy this is. Thank you!! Who knew ? Note to self: buy slow-cooker and make butternut squash. No need for aluminum foil! Just throw it in there. Also works great with sweet potatoes. Yummy! I just add butter and a little brown sugar to either one of those. I find that the squash sometimes lets out some juices so I like to at least line the slow cooker with aluminum foil so it doesn’t burn on, but you can absolutely do it without. Brown sugar and butter is so delicious on squash! time does not matter,right? araucano. Yes! It’s a very forgiving way to cook squash.